Martin is an advanced scope podiatrist independent prescriber with a particular interest in podiatric dermatology and injection therapies for trauma and injury. He deals with all problems of the feet in adults and children including ingrown nails, joint pain, plantar fascitis, sports and other trauma injuries, and acute or chronic functional issues (biomechanics). He also undertakes expert witness work including the preparation of reports for civil courts under the civil procedures rules. He gained his degree in podiatric medicine from Sunderland University and went on to gain postgraduate qualifications from Hertfordshire University and Birmingham City University. 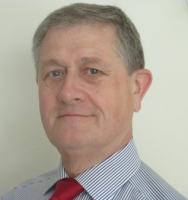 Martin is a lead tutor for the Faculty of Podiatric Medicine of the Institute of Chiropodists and Podiatrists and a member of their medicines and procedures panel as well as being an external expert and assessor for the governments medicines and healthcare products regulation agency. He is also a professional advisor to various government committees including the current (2018) chief professions officers working party on controlled drugs in podiatry. Botulinum Toxins in the treatment of plantar fasciopathy and enthesopathies, ankle equinus and excess sweating of the feet. Non-malignant lesions of the feet, ankle and related structures. Lower limb symptomatology and pathology in nutritional deficiency / malabsorption conditions, i.e. hypomagnesemia, hypocalcemia, hyponatremia etc. Keen motorcyclist and a certified Master Scuba Diver with a special interest in marine conservation. IOCP Annual literary prize 2014 for "History and pharmacology of Botulinum Toxin in medicine"
National Primary Care Exhibition 2011 - skin cancers of the lower limb, keynote lecture. National Primary care Exhibition 2012 - The nail as an indicator of systemic disease, keynote lecture. Hyaluronon injections of the foot and ankle joints for mild to moderate Osteoarthritis and to the the Achilles tendon for tendonopathies. Incisional Nail Surgery in Primary care. The College of Podiatric Surgeons. The Association of Surgeons in Primary Care.